Put forth by a strikingly homogeneous group; inflated, improbable claims of curing conditions from asthma to typhoid [! ]—sound familiar? 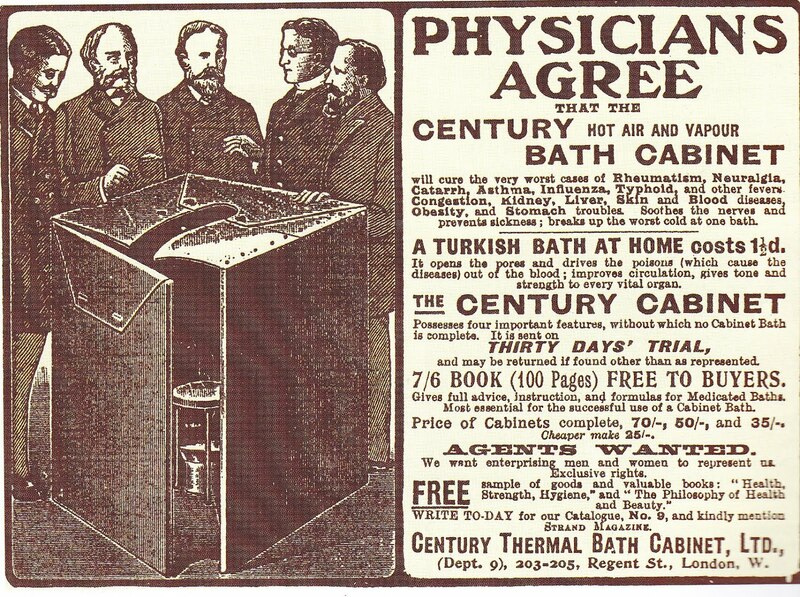 Despite our current events, I am going to resist the temptation to make any puns at the expense of this 'hot air [bath] cabinet'. 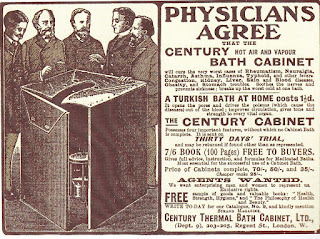 However, one promised benefit of the 1903 contraption—'soothes the nerves'—is something I can definitely get behind during these stressful days.